Has Big Business Warmed To Animals? In addressing issues ranging from the humane treatment of animals raised for food to curbing the trade in shark fins to moving away from puppy mills and toward shelter pet adoption, Nestlé, Starbucks, Target, Jet Airways, and Alsip Home & Nursery are the winners in 2014 of our Henry Spira Corporate Progress Awards – having altered their policies and practices to minimize adverse impacts on animals. Some years ago, The HSUS partnered with friends of the late Henry Spira to create an award honoring this pioneering animal advocate, whose campaigns in the 1970s, 1980s, and 1990s are long remembered by veterans in the field for their corporate sophistication and focus on cooperation. In consultation with the philosopher and author Peter Singer and others, we've been bestowing the Spira awards on forward-thinking companies, business associations, and entrepreneurs since 2011. The collective impact of these game-changing actions by major companies has brought relief to millions, if not billions, of animals worldwide, and every year we're finding more and more deserving candidates. In this case, more competition and corporate progress is exactly what we want to see. Nestlé became the first major global food manufacturer to adopt a comprehensive animal welfare policy that includes prohibitions on confinement systems like gestation crates and laying hen cages, mutilations like tail cutting and castration without painkillers, and the forced rapid growth of poultry. Starbucks became the first major global restaurant chain to adopt a comprehensive animal welfare policy. Like Nestlé, the Starbucks commitment phases out gestation crates and laying hen cages, bans tail docking and castration without painkillers, and rejects forced rapid growth of poultry. Target became the first major conventional grocery chain to create its own line of protein-packed, animal-free meats (the company had previously pledged to move away from gestation crate confinement in its pork supply). India's Jet Airways is being honored this year for its contribution to ending the cruel practice of shark finning. Early last year, Humane Society International Indialearned about a large shipment of shark fins that had been sent from India via Jet Airways, one of the leading providers of cargo services to shark fin traders from India, and the second largest airline in India in terms of market share and passenger traffic. 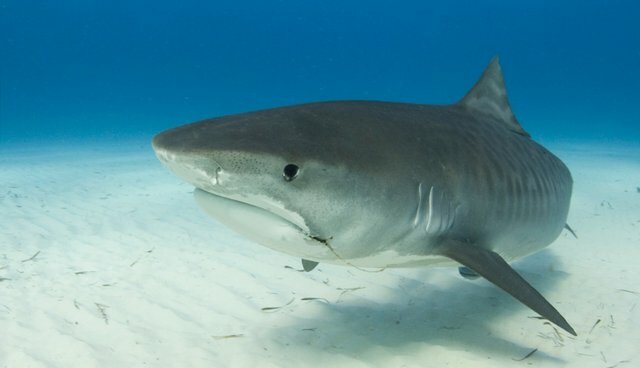 After learning more from HSI India about the role its cargo services were playing in the international trade of shark fins, Jet Airways decided to ban all shark fin shipments. Alsip Home & Nursery is being honored for shunning puppy mills. The store's two locations in St. John, Ind., and Frankfort, Ill., were selling commercially-raised puppies. But after talking with us about our Puppy Friendly Pet Stores program, the company's leadership pledged to convert their stores to a more humane model where they now offer adoptable dogs and cats from shelters and rescue groups instead. In 2014, they adopted out 1,206 animals and their goal for 2015 is to adopt out over 2,000 adoptable shelter animals. Each of these businesses is carrying forward the intelligent and principled approach that Henry Spira championed (you can read more about Henry in Peter Singer's wonderful biography) - an approach that continues to bring great benefits for animals and drives forward the humane economy. We're glad to play a part in advancing the same vision of a world in which corporate actors do their share in putting animal welfare principles into action.